The taste is far superior then any picture I could take. 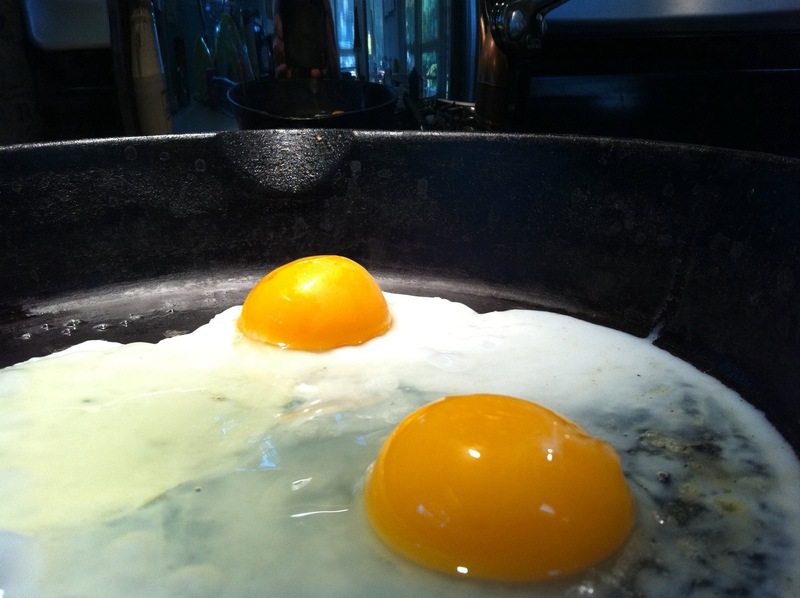 Try scrambling eggs with some Braggs liquid Aminos and cooking them with toasted sesame oil for your lube in the pan. Truly amazing . I was making some omelet for an Asian noodle dish, but now upon tasting I’m imagining all the possibilities. 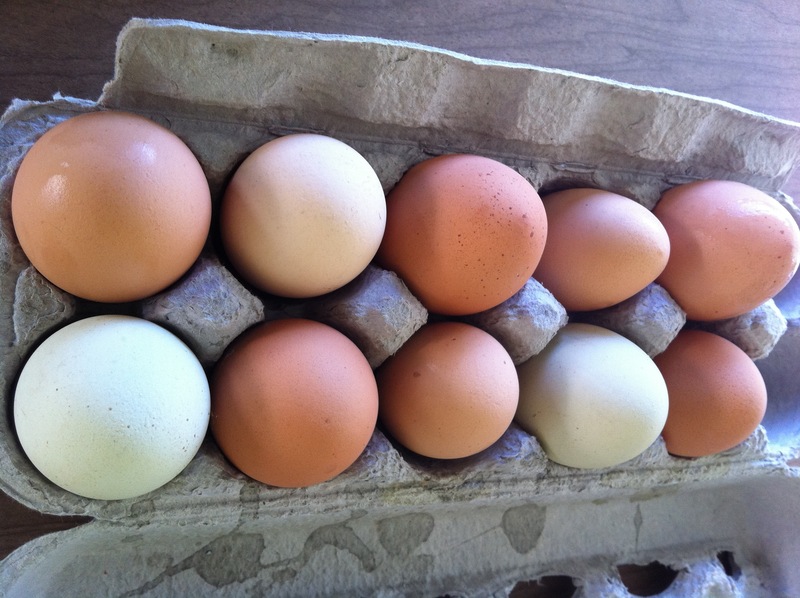 The best eggs ever are always from backyard chickens. There is something special about the taste when the chicken eats mostly table scraps and not just grain and chicken feed. Whenever we see anyone with a cooler at the end of the driveway and a sign, we always stop and get some. Up in New Hampshire we have found the golden eggs at the end of the rainbow. A little ice cream and farmstand on 114 in Weare. They don’t always hVe eggs, and they don’t advertise them. You inquire at the window and then they have to “call up to grandma to ask”. Meanwhile the chickens are running all around and begging ice cream left and right. These are ice cream eggs. I never before had one so delicious .